You no longer have to wonder about how to best get your driveway to look as bright and presentable as when you first moved into your property. Our dedicated team here at FCT know how to best clean your driveway so your home or place of business is looking trim, taut and terrific. We use state-of-the-art equipment to quickly and professionally get the job done, all while leaving you with extra time in your day for the important things. Our years of experience have helped us uncover the best methods to use when it comes to driveways and outdoor surfaces. We find that high pressure cleaning is the best method to clear any debris, paint, dirt or mould from a surface. High pressure cleaners use powerful jets to spray surfaces with water and are extremely effective in cleaning driveways, patios, outdoor furniture, BBQ areas and more. People also love high pressure cleaning as it is a non-chemical way to clear a property. Because of the electric polarity in water molecules, dirt and grime stick to them and are then washed away. Calling one of our friendly team members here at FCT is a great option when you are looking to remove a stain from a driveway or to give it a simple maintenance clean. Our team have over 20 years of experience and are the preferred company for many businesses in Perth and surrounds. We have extremely competitive prices and offer obligation free quotes. We have many glowing testimonials from previous clients and are positive that we can offer the best service in the business. As a mobile operated company, we can come to you which will save you time, energy and money instead of hiring equipment yourself. We have the best safety practices and are completely insured so accidents and injuries are less likely to occur throughout the clean. We have also taken it upon ourselves to care for the environment. We are extremely conscious of any products that we use, and opt for a natural product that is allergy and pet friendly. We understand how important cleaning is, but also how stressful it can be, so we are here to take the worry out of the process by quickly and efficiently cleaning your driveway. If you are selling your property in Perth or wish to rent it out, it is important to have the home looking as best as it possibly can. A quick driveway clean is the perfect way to give a house a face-lift and make it more likely to attract serious buyers. Furthermore, having a regular clean is a great way to decrease the chances of having to reseal a driveway. As we drive our cars and other vehicles on our driveways, there is so much dirt and fumes that get onto the surface. This eventually will erode the seal, but this can be avoided with a maintenance clean. It is also a great way to reduce the amount of moss, algae or mould that can grow on a surface over time. We are more than happy to help with any query and offer an obligation free quote. There are many benefits to having your driveway cleaned using high pressure jets. If you are looking to increase the value of your property, rent it out, or simply want to return your driveway to its former pristine state, FCT Cleaning can help. With over 20 years of experience, we are the first choice for many property owners when it comes to their cleaning needs. Our high pressure cleaners are an environmentally-friendly option for cleaning driveways of oil stains, grime, tyre marks and harmful bacteria. 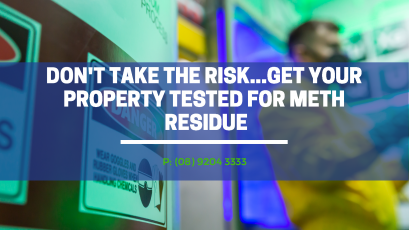 As no chemicals are used, you can rest assured that no toxic chemicals will enter the drainage system or cause further wear and tear to your driveway. We choose to use high pressure jets not only for their eco-friendly nature, but also because they are effective. 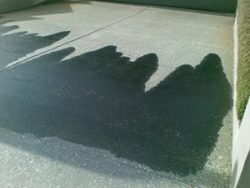 High pressure cleaning can restore your driveway to its former state within minutes. It is unlikely the same level of cleaning can be achieved even with hours of labour work put into scrubbing your pavement. Not only is high pressure cleaning effective, but it is also cost-efficient. Regular maintenance of your driveway means increasing its lifespan which will save you in long term costs. 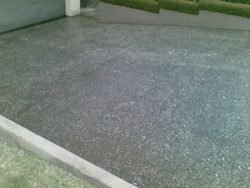 It can reveal any cracks or damages to your driveway which can then be attended to immediately rather than waiting for the damage to worsen over time. At FCT, we believe that safety comes first. High pressure cleaning removes the build-up of mould, algae and oil on your driveway, which can cause slipping and be hazardous for baby strollers and pedestrians. Our water jets will also remove any harmful fungus and bacteria that can grow on the pavement, making your home a much safer environment to return to. Aside from driveways, high pressure cleaning can also be applied to other large areas such as patios, BBQ areas and garages. If you would like to find out more about our methods and what high pressure cleaning can do for your home, contact FCT Cleaning today on (08) 9204 3333 or send us an enquiry at admin@fctcleaning.com.au. Our friendly team is always on hand to answer your questions or provide you with an obligation free quote.